Bhagat Singh Park that was proposed in sector 150 besides Noida – Greater Noida Expressway is now expected to see the light of day. 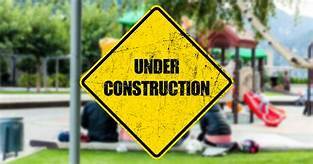 Its construction work has started and the park will be developed in next 18 months. This park will be expanded over 40 acres of land making it the largest park in and around sector 150. Officers privy with the development informed that after its completion visitors will get to know about life and times of Bhagat Singh along with his struggle and sacrifices that he had done for this nation. Park will have separate space for senior citizens and for children’s. Apart from this it will have a large jogging track. Around 2 thousand trees will be planted to enhance its beauty. To make park a beautiful natural site, the landscaping work has already started here. Both fruit bearing trees and ornamental plants have been given equal weight-age to maintain ecological balance of the park. #SwachhSurvekshan2018 : Indore awarded the cleanest city, Bhopal second and Chandigarh third!